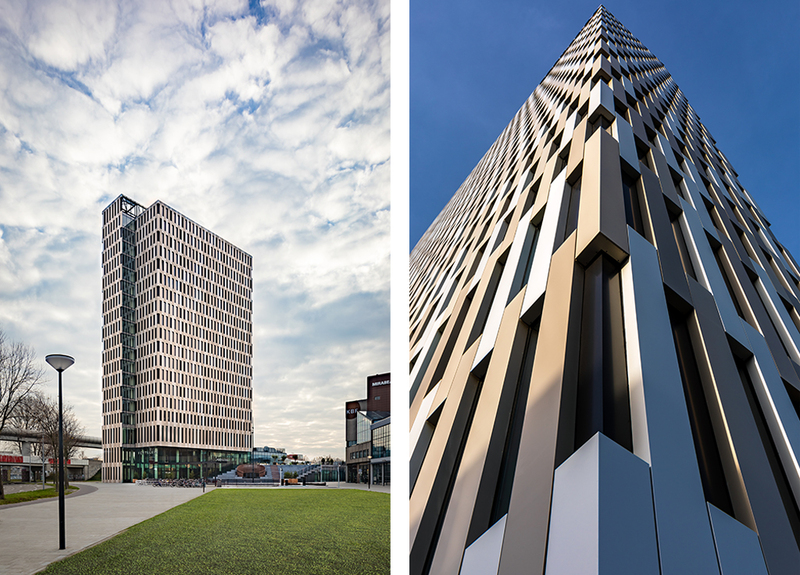 Following a small-scale competition, concrete was selected to design the architecture of the so-called ‘Kauwgomballenfabriek’ hotel by developer Lingotto in 2009. 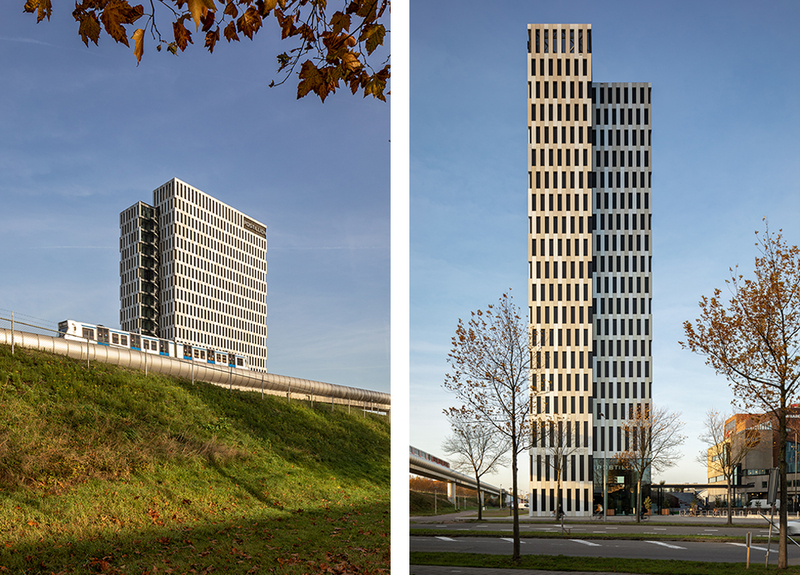 As the final piece of the Kauwgomballenfabriek transformation, the programme and spatial design of the hotel are in line with the current developments in the area. 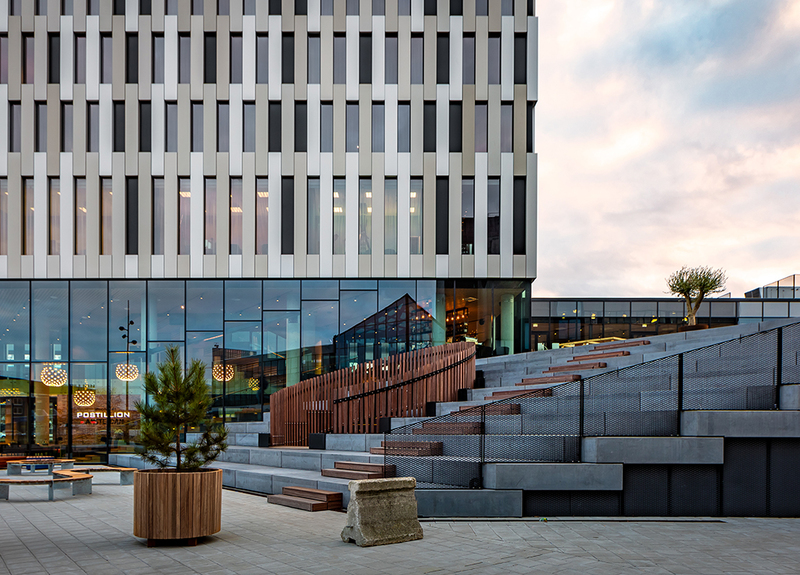 The hotel programme, with 252 rooms in a 65-metre tower, has been expanded with a wide range of additional public functions, attracting hotel guests, locals who live and work in the neighbourhood and people from other areas alike. 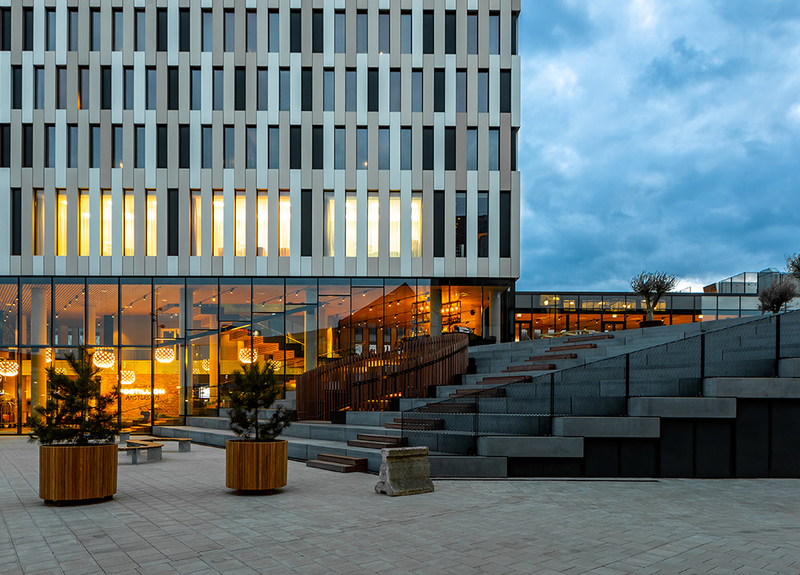 The public spaces are designed as a ‘social landscape’, where people can meet and work together and which connects various functions over multiple stepping indoor and outdoor levels. 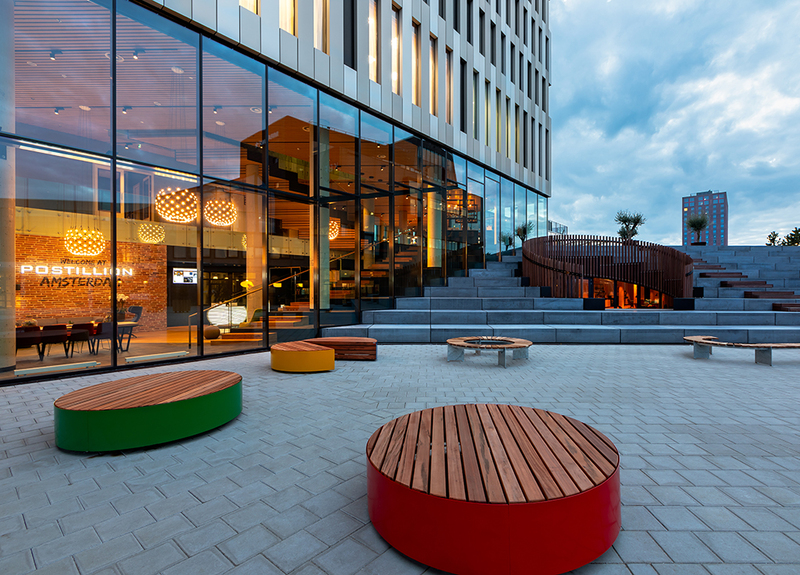 A newly designed square and cascading public roof terrace represent the link to the adjacent Kauwgomballenfabriek complex. This link is continued in the interior of the building with facilities such as open workspaces, a restaurant, two bars and meeting facilities. This way residents and hotel visitors can do work, arrange meetings or relax all in one place. By ‘cutting through’ the axis of the corridor and shifting the two sides apart, the volume has become more elegant and slimmer, and features a different look from all sides. 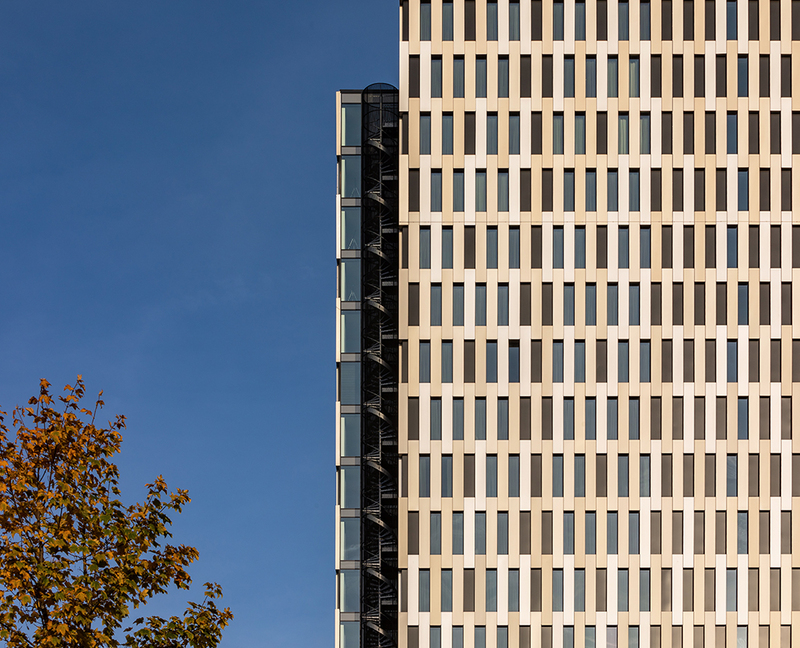 To counteract the industrial environment, the scale of the area and the substantial infrastructural presence, the proposed building is abstract and scale-less with an abstract facade that is formed by a static rhythm of anodised aluminium cassettes in three shades and deeply recessed windows.